I'm running a day late with this one. 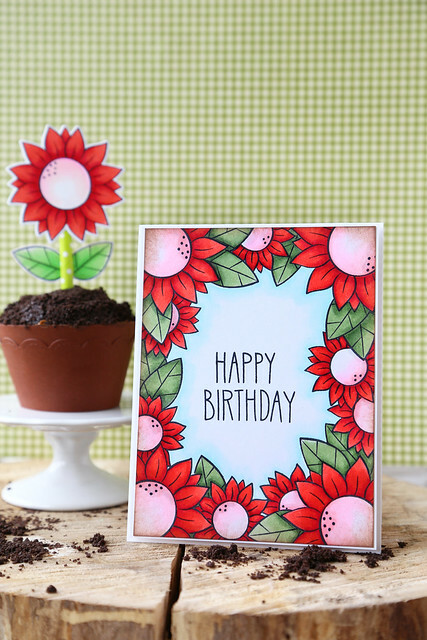 Lawn Fawn featured my spring flowers on their blog yesterday, but I wanted to share it here as well. If you've been here for awhile, you know that this is party season over at Casa Muni. This year is a first for us. We are sweating our way through renovations on our new home, so we decided to postpone the parties and have a bigger, blowout party for all 3 in the summer. The kids are taking it like champs. My biggest girl loves flowers, so I masked my little heart out to create something that she'd love. 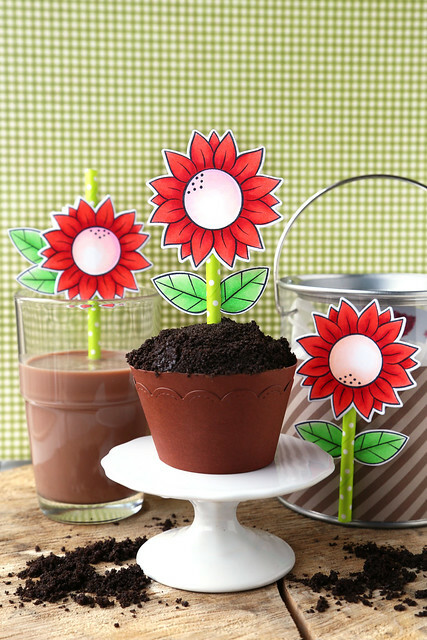 I used the Lawn Fawn cupcake wrapper, but added another strip of brown cardstock to the top so that it looked more like a flower pot. The chocolate cupcake was covered in oreo crumbs to make it look like potting dirt. A green straw doubled as a stem for the flower. 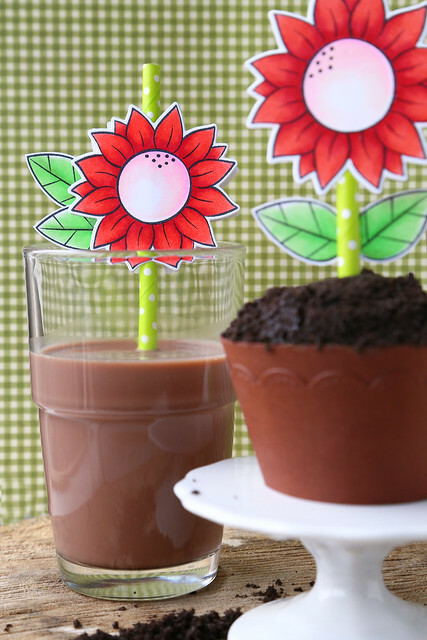 I filled the cup with chocolate milk and added another flower to the drinking straw. I'll be back tomorrow with a renovation update, and a round-up of the new lighting I've purchased for the new house! This whole blogging/renovating juggling act isn't going as I planned. To be honest, this whole renovating things isn't going as we planned either. It's what people always say, right? It will take longer than you think, cost more money than you anticipate, and you will find surprises along the way. ♥ We found evidence that the basement had flooded in the past, despite reassurances from said previous homeowner that there had never been water damage down there. We are talking to neighbors who say that it was a few owners before that lived through the flood. We're not too worried about these surprises, but we've found these out in the space of a month and are worried that there's more lurking around. ♥ We've replaced the parquet flooring on the top 2 floors (minus the missing parts.) 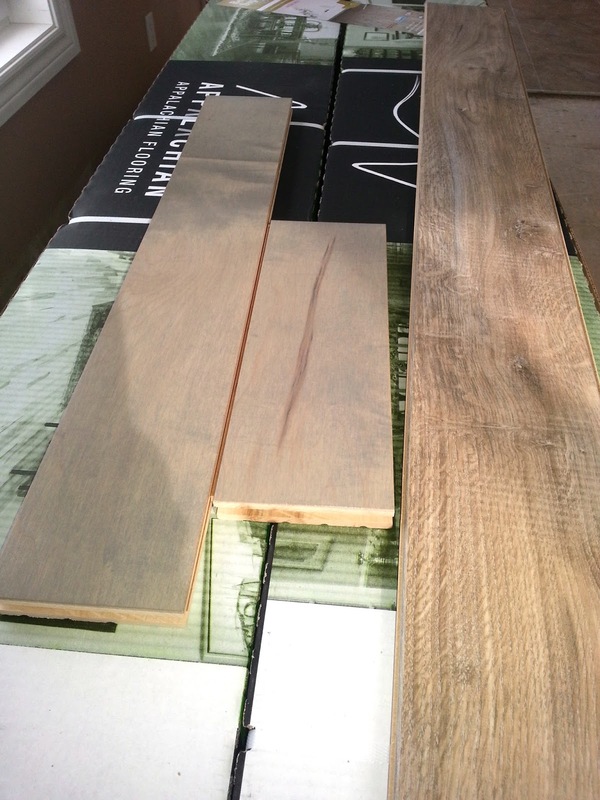 We decided on a grey-ish maple. It looks better than it sounds. ha. the maple is on the left, and the floating floor for the basement is on the right. ♥ Removed wallpaper, wallpaper everywhere. Some walls were salvageable, but others had to be cut out and replaced. She glued that stuff down to last. But as soon as it all came down and the walls got a good coat of primer, it was like a breath of fresh air. ♥ We ripped out the staircase spindles and rails. New posts are going up and it will change the look of the whole main floor. Here's a look at the living room in progress. With the wallpaper gone, and the wall separating the staircase gone, it's already like a whole new room. I am not crafting these days, but would you like to see more of what's going on at the house? And would you be interested to see things like paint colors? Lighting choices? Rugs? 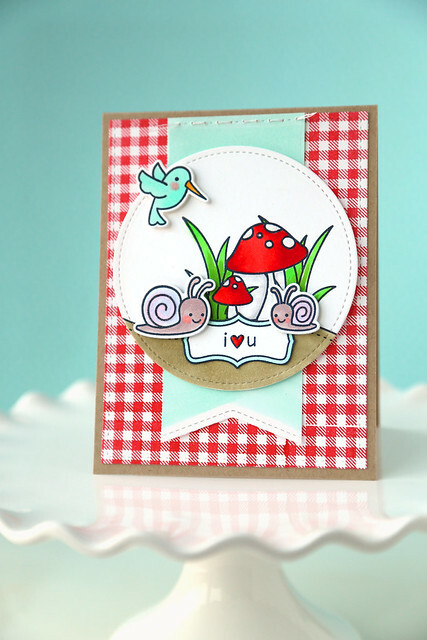 Hi there, and welcome back to another day of Lawn Fawn inspiration. We're showing off the stitched square stackables. I love these die sets! 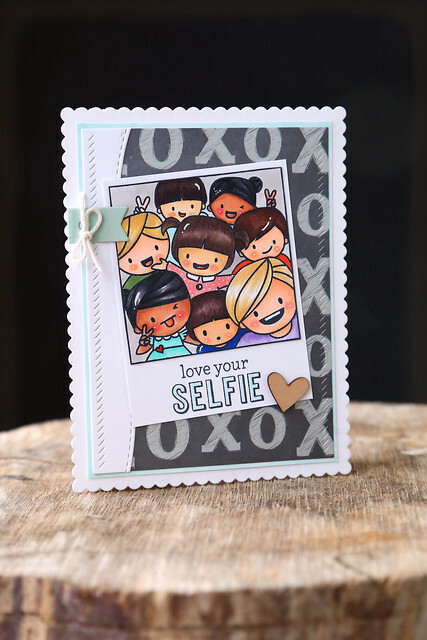 I layered the squares for an easy focal point on my card. 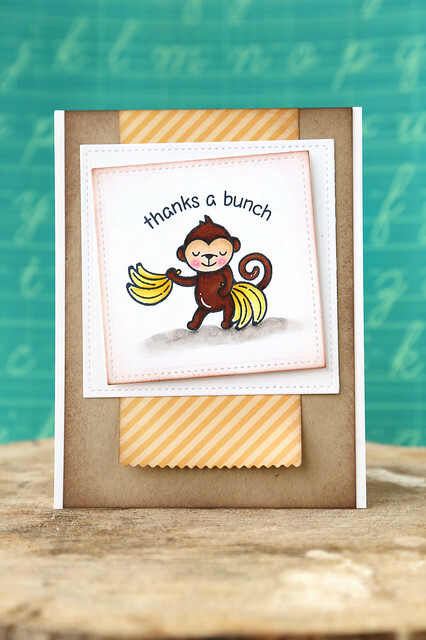 By way of some masking, the monkey is holding 2 bunches of bananas. I stamped in the bananas, but then I had to come in with a copic pen and draw in the top of the stems, because the stamp image isn't long enough. Make sense? I just love this little monkey standing up with the bananas! I usually stamp him swinging from the trees, but he looks jaunty this way. ha. 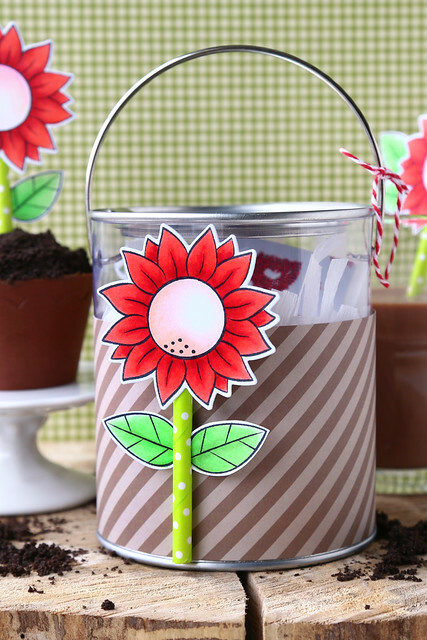 something old, something new for lawn fawn inspiration week. I'm doing things halfway this month, since we're covered in plaster and primer and all kinds of dust from sanding down the new house. 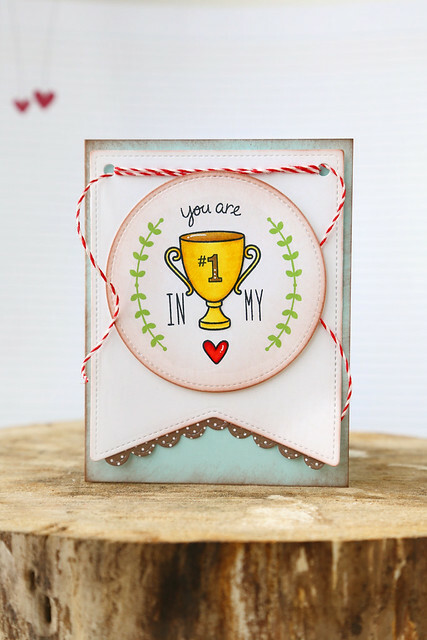 I do have a new Lawn Fawn card for tomorrow, but there have been a few on there this week that I already blogged. In case you missed them, I thought I'd link up the original posts. Gingham sweetness in the garden - click! 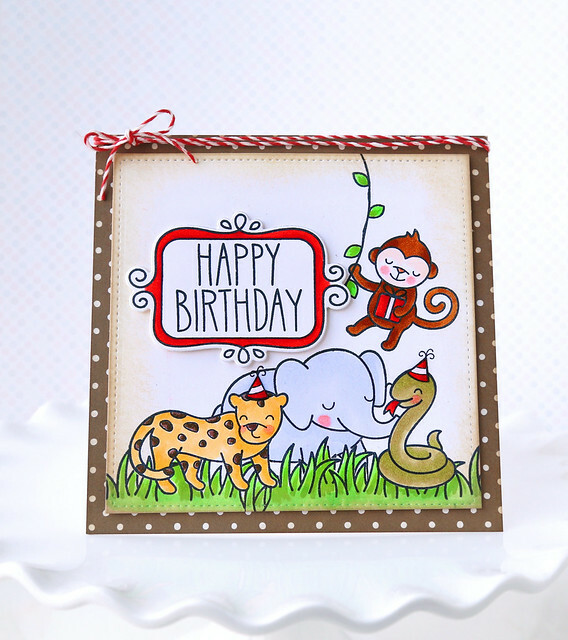 It's a jungle birthday party - click! I will be back to posting more regularly next month, I promise! In the meantime, I'll be bringing my camera over to the new house today to snap a few in-progress pictures. I think an update is in order! Hi there! 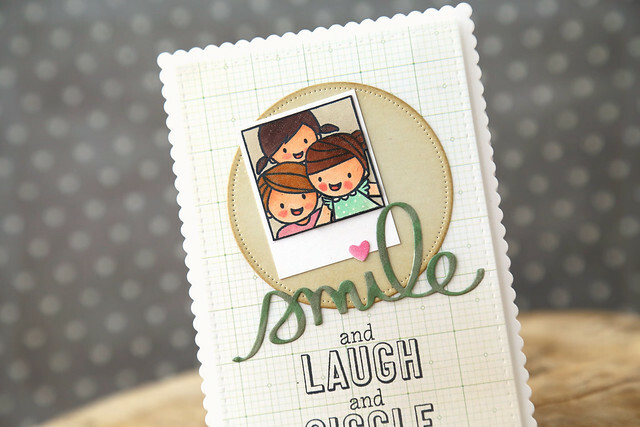 It feels like too long since I've posted, so I'm happy that we're here now, to kick off Lawn Fawn's April inspiration week. Today, we're showing off "Best Pun Ever." It's such a cute set, with tea pots and fans and cheese and puns to match. Nobody is more surprised than I am to see no smiley faces on this card. I don't know what to say. The stress of the new house renovations is obviously getting to me. Sidebar: let's be honest. April won't be my best blogging month, but if you're interested to see more of the progress we're making in our new home, you can come see on instagram (look for mom2sofia.) So far, we've ripped down a slew of walls that were cottage-cheesy underneath the wallpaper layers. gah. New drywall is up and you'd never know we had to do all that work just to get clean walls. 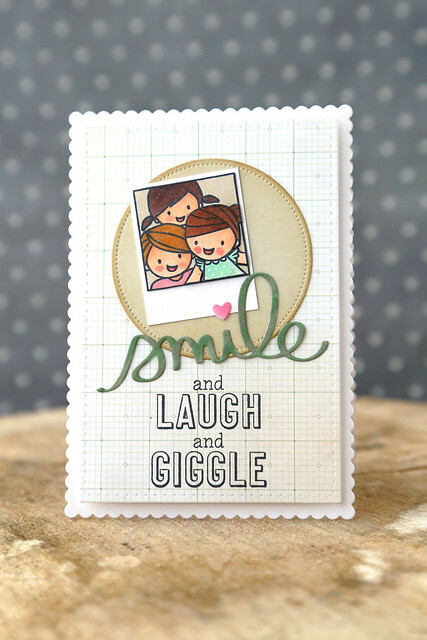 I hope you like my quirky little card! 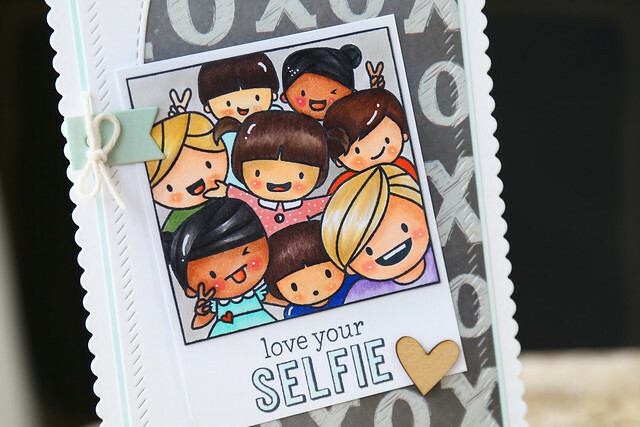 I used the new smile die, since it naturally goes with the cuties from Photobomb!